The Giro Nine is now offered with the multi-directional Impact Protection System (MIPS). 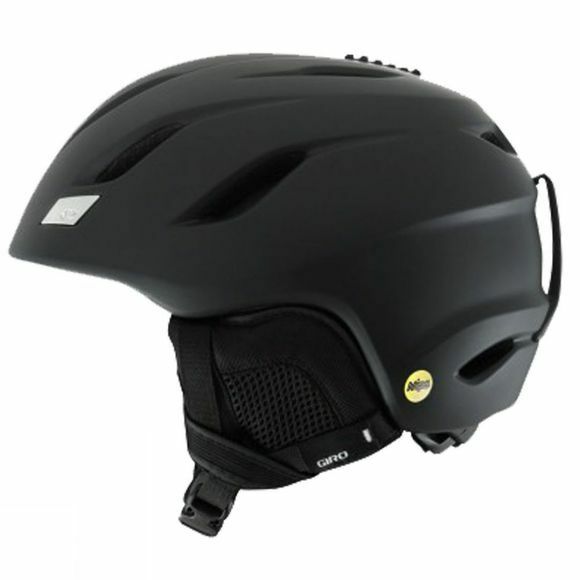 This lightweight helmet is defined by its low profile and streamlined silhouette and features vertical tuning, thermostat control adjustable venting and in-mould construction. It's compatible with all aftermarket Giro audio systems and also sits comfortably with all Giro goggles. MIPS - Multi-Directional Impact Protection System - a step forward in helmet design. There are three main components to a MIPS-equipped helmet: the interior foam liner, the Low Friction Liner and an elastomeric attachment system between them. In an angled impact, the elastomeric attachment system stretches to allow the foam liner to rotate independently around your head. The goal of this technology is to further reduce rotational forces. In-Mould Construction fuses a tough polycarbonate outer shell with the helmet's impact-absorbing foam liner. The fusion process allows for better ventilation systems, making in-mold helmets lighter and cooler than traditional helmets. The Stack Vent was developed based on research showing the majority of the warm air that can cause fogging exhausts from the center top vent of the goggle. Aligning the Stack Vent in the helmet with the center vent of your goggles helps to keep them clear and fog free while maintaining total helmet and goggle integration.